During this midterm season, why not Treat Yo' Self to some baked goods? Come grab some pancakes or cookies in support of the Ottawa Royal! Prices are by donation. 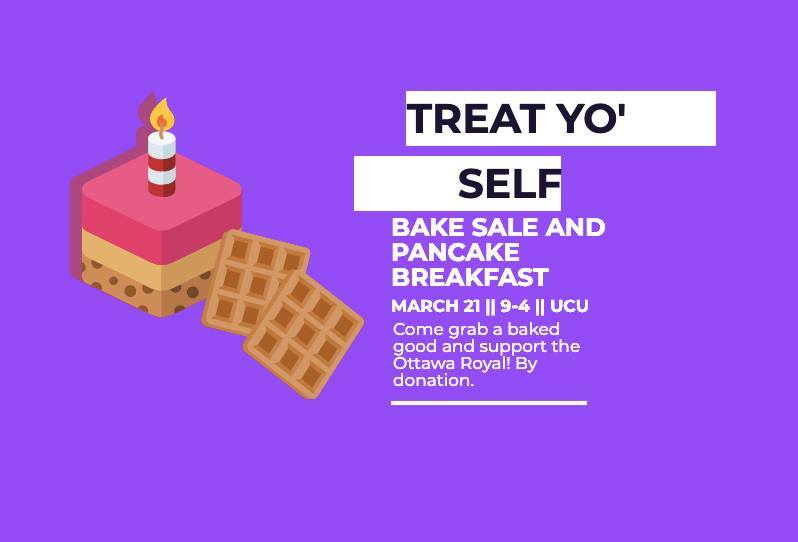 Bring an empty stomach and lots of friends to UCU March 21st from 9:00 AM - 4:00 PM.